Economic considerations — Building owners are concerned about the cost of the system, as well as ongoing operations and maintenance (O&M) costs. Outside core business area — Building owners see solar as a distraction to their core business area. Facility concerns — Building owners see solar installations as a facility liability. Vendor and technology risk — Building owners have expressed concern regarding the reliability of solar developers–with respect to workmanship, project management, and length of time in business. Permitting and approvals — Building owners do not want to navigate the permitting and approval process for a solar installation. Additionally, some building owners need approval from the landowner to make significant modifications. 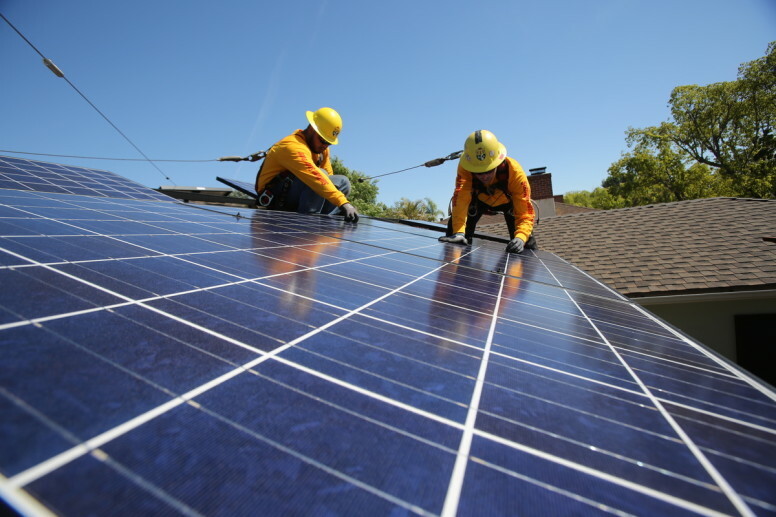 Other — Other building owner concerns, such as safety issues and contract flexibility, are inherent in all solar development projects. 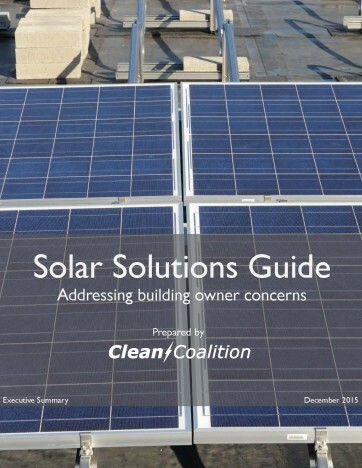 While the Solar Solutions Guide has been designed to address the concerns of building owners in Southern California, many of the issues addressed are highly applicable to other utility service territories. The executive summary is available for download. Qualified individuals, including building owners, property managers and other facility personnel, can access the complete Solar Solutions Guide. To gain full access, email josh@clean-coalition.org and explain your role in real estate management.